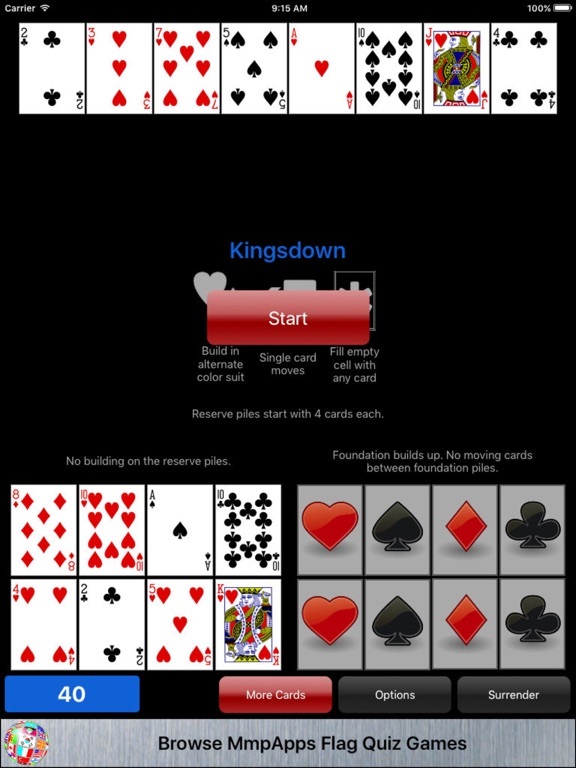 Four variations on a classic double deck game where you build one set of foundations up from Aces and the other down from Kings. Continuing the up and down motif the tableau also builds both up and down in Matching Suit. 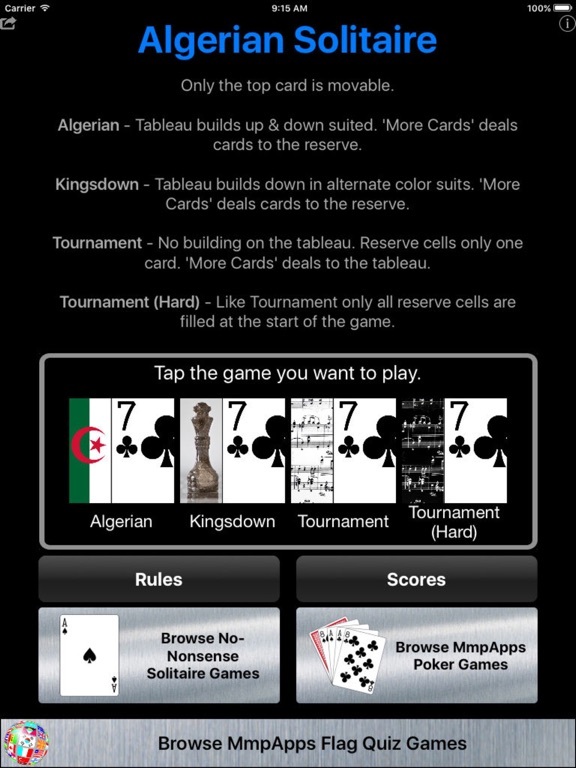 All variations are free to play. No in-app purchases!! 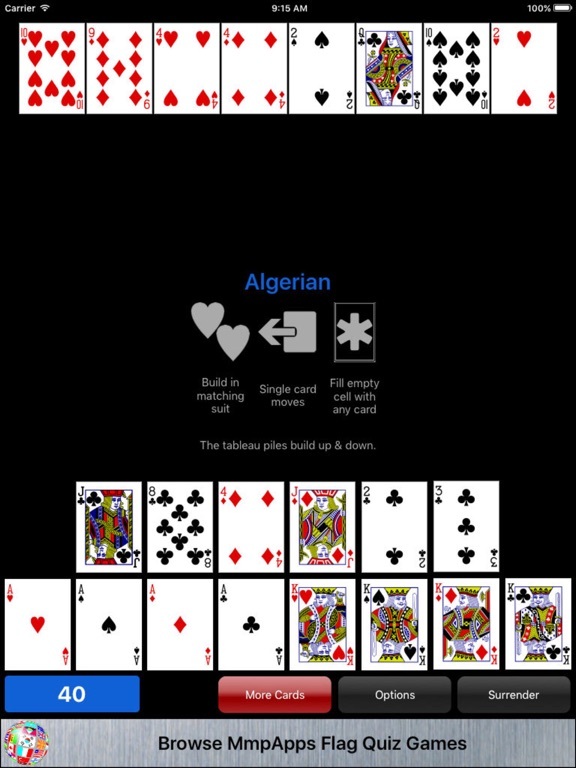 ALGERIAN - The unique thing about the game is that the 6 cache spots are where more cards are dealt to making proper management of those spots crucial to your success. KINGSDOWN - Allows building on the tableau. 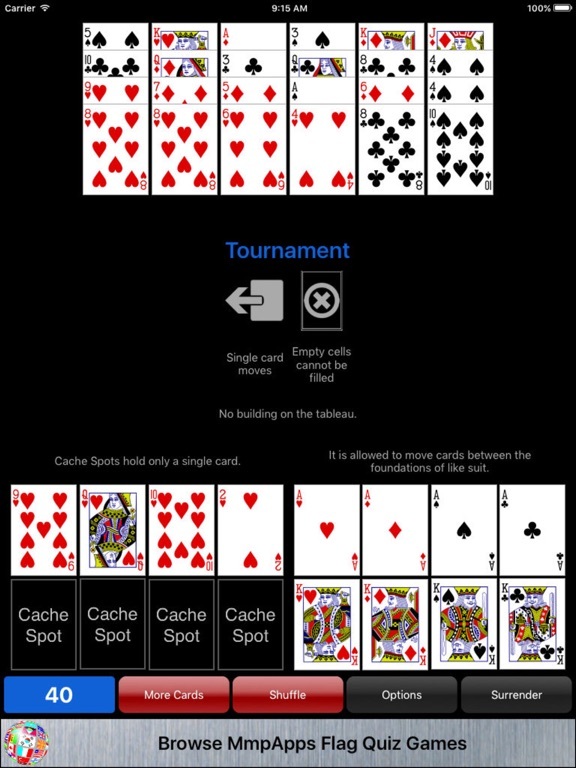 TOURNAMENT - An very difficult game where the skill comes in managing the use of the reserve (cache) spots. No building allowed on the tableau. 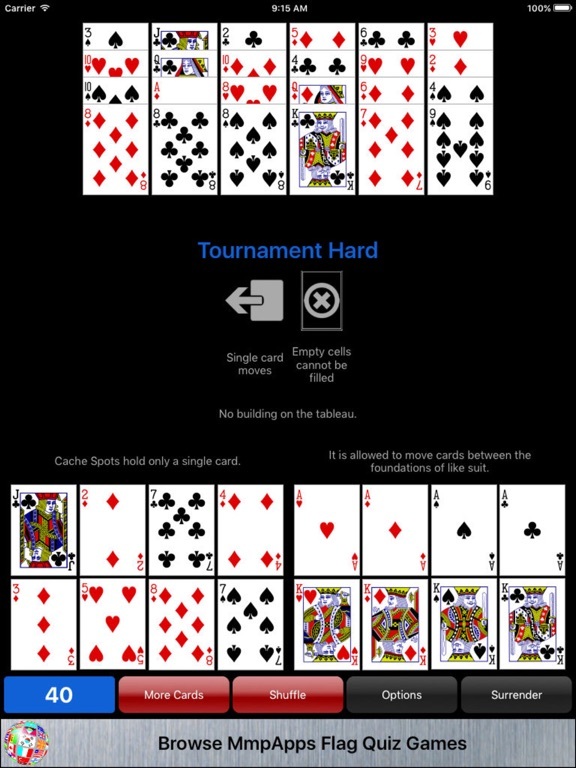 TOURNAMENT (HARD) - Tournament where all eight reserve spots are filled at the start of the game.